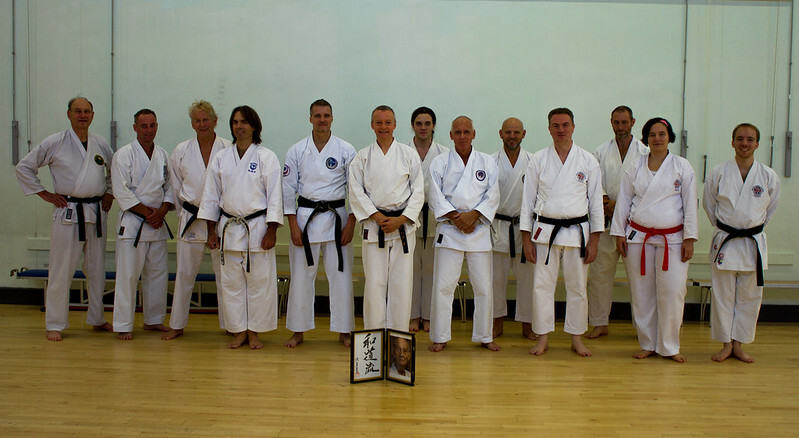 Yesterday I was lucky enough to be graded to 3rd Dan under Sensei Gary Swift 8th Dan Kyoshi. It was a tough grading but I made it 🙂 a big thank you to Leslie Forester for his assistance with both driving us there and back and as a partner in my Kata Kaisetsu and Kihon Gumite. Also congratulations to Carolyn Watson and Mike Diggle of Plymouth University Wado Ryu Karate Club for their 1st and 2nd Dan success, respectively.